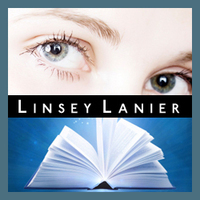 Linsey Lanier is the author of a dozen novels and several short stories, including the best selling Miranda’s Rights Mystery series. In her novels she writes romantic suspense, mystery, and thrillers. In her short stories, humorous romantic fantasy—all with a dash of sass. She is also a long time member of Romance Writers of America. I’d like to say growing up on the tough streets of Chicago inspired my feisty heroines, but actually I was raised in a cozy little suburb, by parents who sheltered me. Guess it was other things along the way that gave me my attitude. You know–relationships, jobs, lack of funds, life in general. I hope my offbeat take on life makes for entertaining reading for you. Thanks for taking the time to chat with us, Linsey. Okay, let’s kick things off. Where were you when the idea for The Miranda’s Rights series struck? Probably somewhere reading a Robert B. Parker novel. With Miranda, I was going for a female Spenser. Of course, if you’re a woman you can’t go around being such a smart aleck, so I gave her a back story to give her the motivation and edginess I needed. Do you base your characters on real people you’ve met? Please tell us there’s a real-life Wade Parker walking around somewhere! Wade Parker is currently chained under my bed. I feed him pomegranates in exchange for…no that’s just a fantasy. All my characters come from my imagination. Have you been inside any of the grand houses you write about in Buckhead? Because next time the Parker estate is up for rent at such good rates, I’m moving south! I’ve got dibs on the Parker estate. J I’ve been to Europe and toured inside some castles, but all my inspiration about the ritzy mansions in Buckhead has come from Internet research. Have you had a career in law enforcement in your real life? Are you as snarky in your everyday life as your characters are? Describe the scenario when you sit down to write. Any music, a specific room, snacks, lucky underwear, kids locked away? It’s just me and my computer in my office. And quiet. No music. Snacks? Dark chocolate almonds. Yum. You include the parents of your adult characters in your stories. What do the ‘grown-ups’ in your real life think of your work? Unfortunately my parents are deceased, but I like to think my mother would be proud of me. Can you give us any hints as to your next project? Are you sticking with mysteries? I’m working on a romantic suspense novel about a jewel thief. It’s called Steal My Heart. It will be out before the end of summer. Thanks for taking time out of your busy schedule to talk to us, Linsey. It’s been real a pleasure.